Pioneers in the industry, we offer my jumbo coloring book - blue and my jumbo coloring book orange from India. 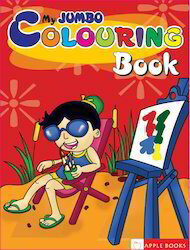 As an esteemed name in the relevant industry, we are offering a quality assured array of My Jumbo Coloring Book - Blue. Our offered jumbo coloring books are designed with high quality paper & printed with high quality of inks. 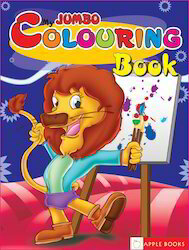 The provided jumbo coloring books are used for coloring purpose & best suited for children. Also, these jumbo coloring books are completely checked by well-informed experts to ensure correct contents. We are recognized as foremost exporter of a comprehensive assortment of My Jumbo Coloring Book Orange. The offered jumbo coloring books are made up at vendor’s end using top quality paper & best ink is used for printing purpose. Along with that, these jumbo coloring books are checked by quality experts in order to deliver a defect free range from our end. We provide these jumbo coloring books in customized printing & sizes according to the requirements of customers. Looking for Jumbo Colouring ?